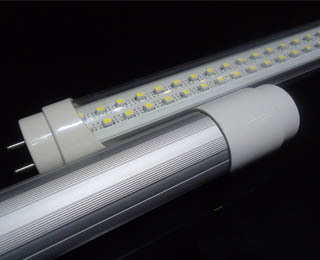 LED fluorescent light is known as LED tube light or LED linear tube light. It is an ideal LED light replace the traditional fluorescent light or CFLs. T5, T8, T10, T12 are the general diameter of LED tube same as the size of traditional light. 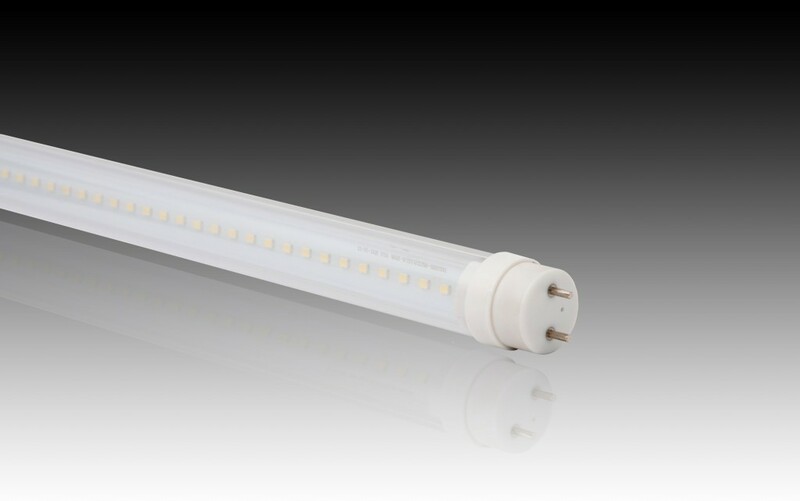 LED T8 tube light is the most common LED linear light now. Usually, it is very easy to change the old fluorescent light fixture to a long lasting modern LED tubes. LEDs provide directional light, SMD LED is the main light source for the LED tubes, the beam angle of SMD LED is 120 degrees, unlike the fluorescent lamp, illumination exactly where you need it. Fluorescents have 360 degrees directional light, some light is lost in the fixture and other unnecessary places,such as on the ceiling. It is about 60-70% of the actual light being given off by the fluorescent lamps is being used. The rest 30-40% is wasted. It is important to have the directional light in workrooms or wholesale places, people usually need more light on the worktable or need reflect the products they want to sell. LED tube light is a kind of light source that can be controlled the lighting direction. The designer is able to calculate the required luminous intensity (unit:LUX) through light software such as Dialux when using the IES file (LM79,80 file) of the light. By placing the right place and the right power of LED tube lights, it will compliance with the qualify for The Energy Policy Act. The light efficiency of fluorescent lamps will be going down when at much lower or higher temperatures. Room temperature is the best to have the highest light efficiency. It probably not work when the temperature is quite low in cold weather, such as at below-freezing temperatures. However, LED fluorescent light works better when in cold weather, the heat dissipation will perform better in cold temperature. As a result, the luminous efficiency will be better due to the over heat will low the efficiency and lifespan apparently. 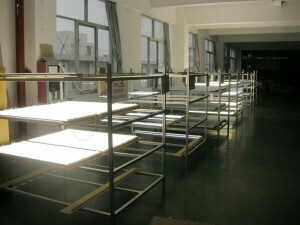 Typically, the luminous efficiency produced by Gorgeous Lighting Co.,Ltd. is up to 130lm/w, and will be higher in near future. Please note, it is not equal to compare the total lumen of a LED tube and traditional fluorescent lamp, as the mentioned, the utilization of the traditional light is only 60%, the replacement should consider the luminous intensity LUX index. LUX is the real light index people can get on their worktable or project. Before customer decide the replacement power of LED tube for fluorescent lamp, it is better know the LUX needed. What’s more, the typical ballast factor for fluorescent fixture is 0.9, with LED fixtures, it is higher than 0.95, or even 0.99. Unlike fluorescents, LEDs contain no mercury. This makes them safe for the environment. LED tube light can be made in variety of color temperatures,warm white, daylight white, cool white and any other single colors, but don’t have any flickering issues, which probably happened by fluorescent light. Instantly light on and turn off instantly. Ultraviolet emission Fluorescent lamps emit a small amount of ultraviolet (UV) light, which might be hurt for sensitive individuals. Ultraviolet light can affect sensitive paintings, especially watercolors and many textiles. Valuable art work must be protected from light by additional glass or transparent acrylic sheets put between the fluorescent lamp(s) and the painting. LED tube light produce no ultraviolet light, it is a safe light for people to use. Dimmable LED tube light can be controlled by dimmers. Dimming functions are 0-10V,1-10V,Triac dimmable (leading edge or trailing edge dimming), etc. Many LEDs have full dimming capabilities, whereas fluorescents are expensive to dim and do so poorly. Most fluorescents can’t be dimmed, fluorescent light fixtures cannot be connected to dimmer switches intended for incandescent lamps. Dimming installations require a compatible dimming ballast. The average life of a T8 LED is 50,000 hours, versus only 30,000 hours for an average T8 fluorescent lamps, and the average fluorescent depreciation is determined at 40% the rated life, or 8,000 hours. The initial lumen output of LED tube is maintained above 70% up to 50,000 hours. Probably will be better in near future. LED tubes are produced with aluminum backing and plastic cover. They are much stronger than the grass made fluorescent bulbs. We don’t produce the whole plastic T8 tube due to the heat dissipation problem. In fact, a linear LED tube light with aluminum heat sink inside has been developed by us, though the outer light body is plastic, it perform well at thermal management, the price is much more cheaper, and waterproof IP65. Anyway, both aluminum and plastic materials are more durable than grass. 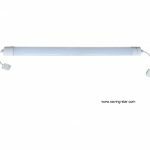 LED fluorescent lights are suitable for retrofits and existing light fixtures which installed with traditional fluorescent tubes. Type A, it is easier for people to just replace the old fluorescent tubes with LED type, no other modifications are required. Super easy, right? But the problem is the fluorescent ballast. 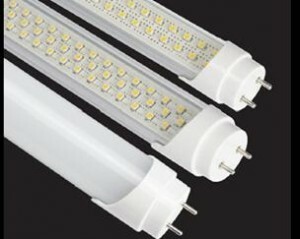 They energy consumption will be increased when you keep the original ballast, and the lifespan of LED tube will be shorter because of the short life of ballast. Our LED tube can be compatible with all linear fluorescent ballasts, you don’t need worry about the old ballast is electronic ballast or magnetic ballast. Ballast type can be problem, however, this is not the big problem, people should pay attention to the power consumption and lifespan. Type B, it is a little complicated to bypass or remove ballast, you need re-connect the wires to the LED tube light. Gorgeous Lighting Co.,Ltd. will provide the install instruction with the product, it is not difficult for a professional installer to understand and finish the job. In order to wire quickly, we’ve developed LED ballast, which is used to replace the fluorescent ballast. And there is not much electrical modifications required. At present, lots of our LED tubes are selling to customers in worldwide. 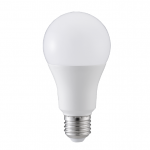 The benefit for the type B is higher energy efficient, longer lifespan, more stable light performance and controlLability (dimming, or changing the light color). 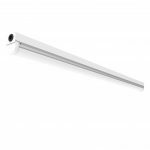 Our LED fluorescent light tubes are able to work at 85-277 volts, universal input voltage. We also have emergency lighting built-in or Motion sensor type LED tubes to meet with the different demands of the market. We also produce IP65 LED tube light, which can be used for outdoor area, such as farms,parking area, food industry, in which there might have steam. In conclusion, it is worth to replace the traditional fluorescent tubes with LEDs. The better light performance, higher lumen efficient, longer lifespan, environment friendly, stronger and safer to use, and the dimming function and light color changing can be customized. Gorgeous Lighting Co.,Ltd. provide a full collection of LED tube lights with high quality and the best prices. Please feel free to contact us if you need any help, technical support, product selection or other service. Please feel free to contact us if you have any inquiry.